Last fall, Arthur Schwartz gifted me with a huge shopping bag filled with recipes sent in by listeners to Food Talk, his long-running radio show on WOR. 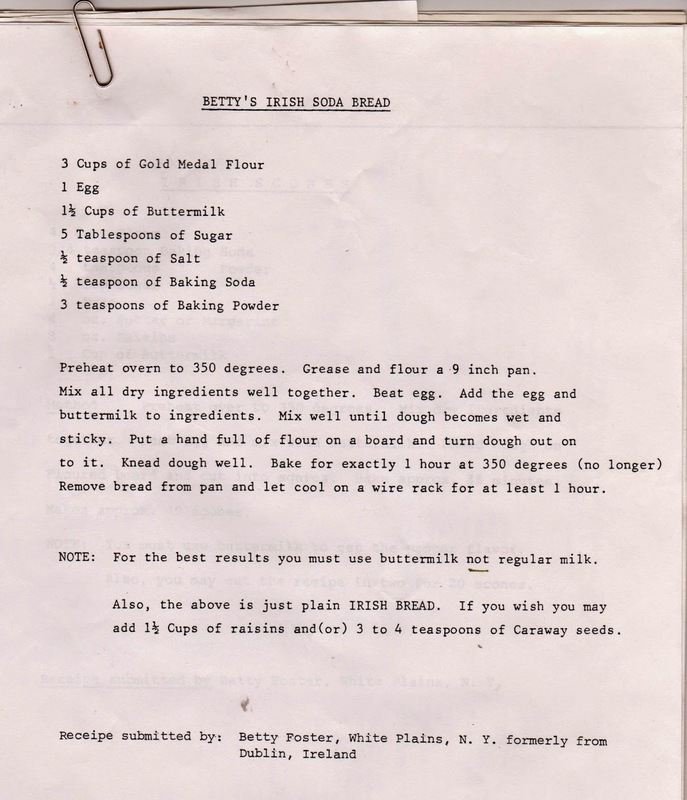 Arthur had organized these into a couple of folders: Savory, Sweet, and --- Irish Soda Bread! Apparently a show in 1992 about the traditional bread caused such an outpouring of recipes as to require its own folder. 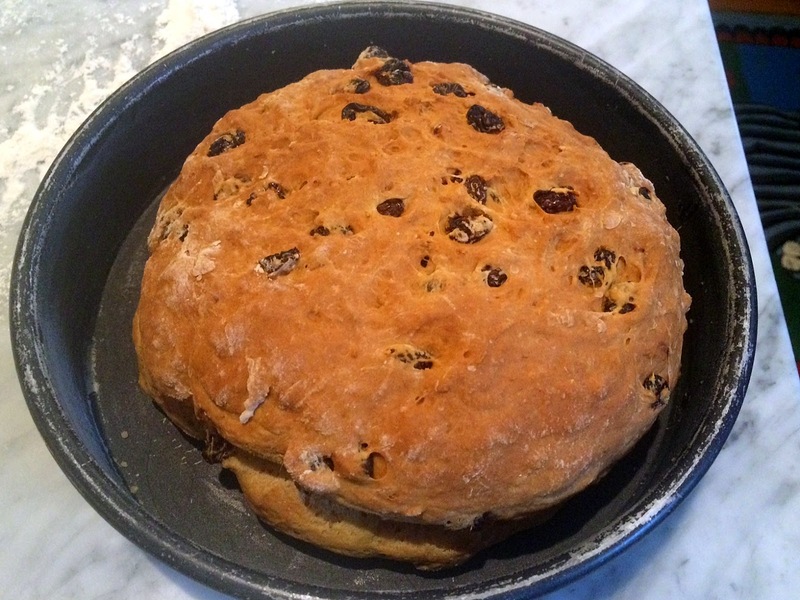 Raisins are optional, but I added them, first coating them with flour to prevent their sinking to the bottom of the loaf. 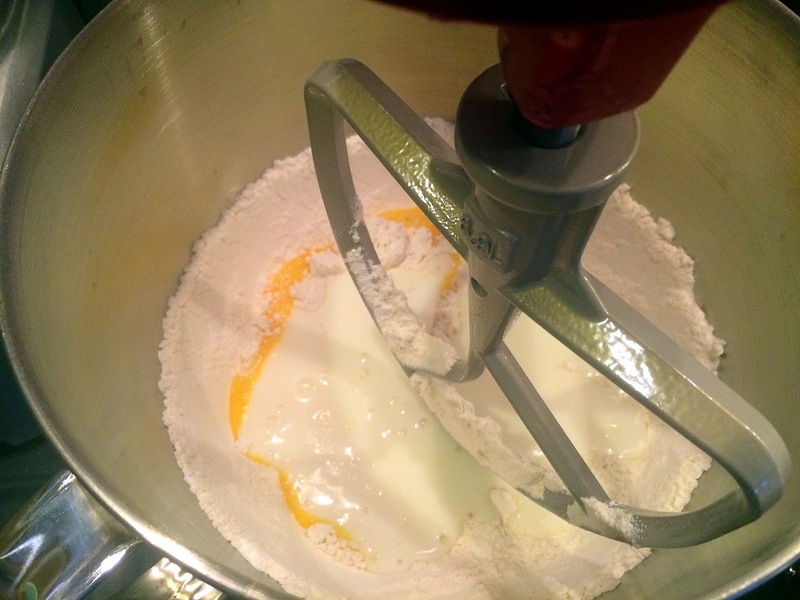 Mix all the dry ingredients in a bowl, add the egg and buttermilk. 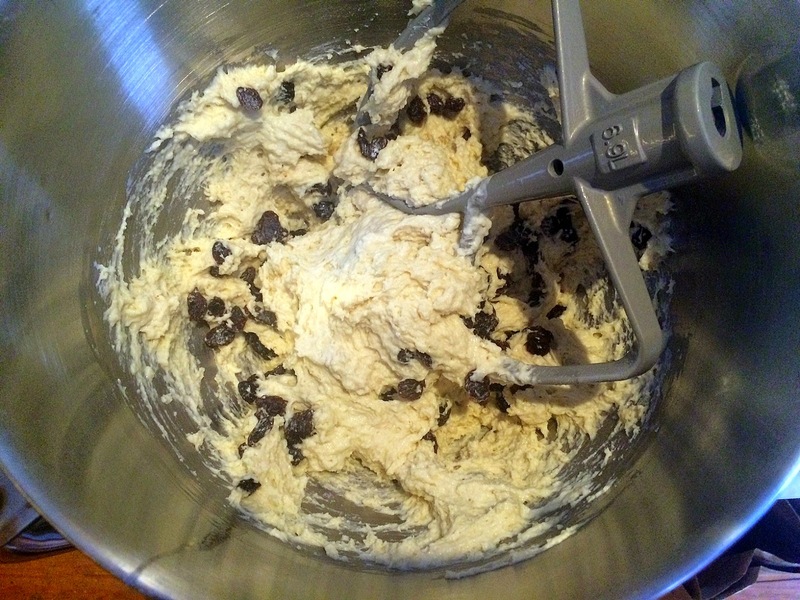 I used a stand mixer, but a bowl and spoon would work just fine. 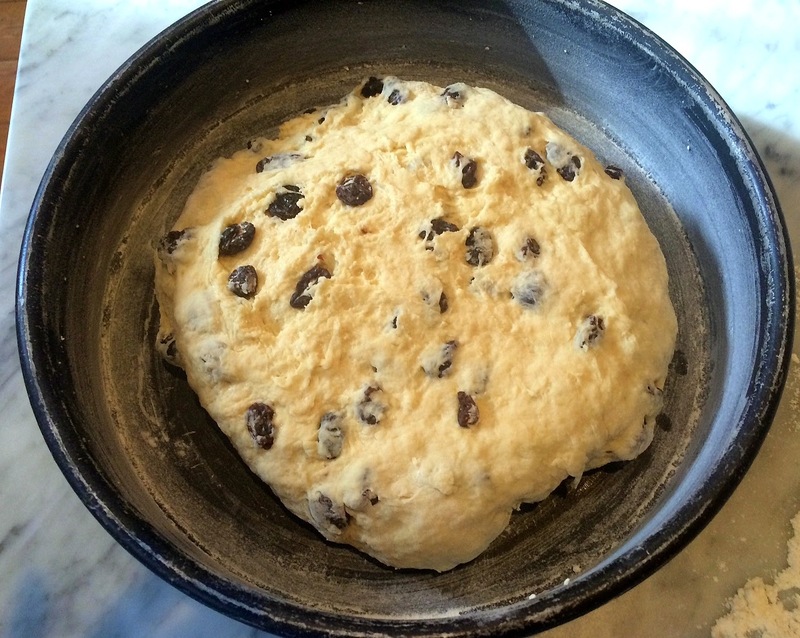 When the dough is mixed -- it will be sticky! -- add the raisins. Turn out onto a generously floured surface and knead for about five minutes. 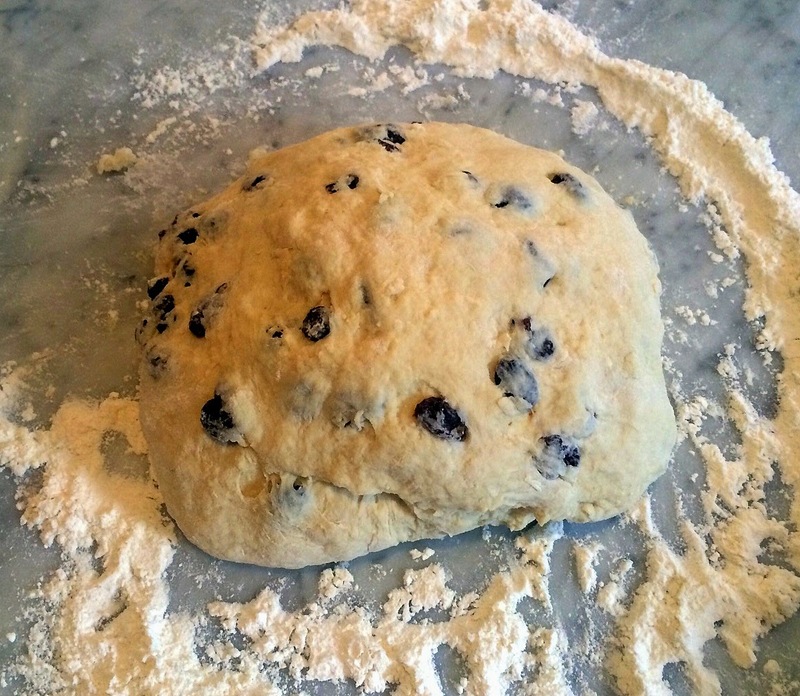 Place the dough in a greased and floured 9-inch pan. I didn't flatten it (there were no instructions about this) and I thought it might assume the form of the pan in the oven. It didn't, but I like the free-form dome shape that emerged from the oven. Bake for exactly 60 minutes and remove from the oven. Let cool slightly and slice. Happy St. Patrick's Day! Production notes: I followed this exactly EXCEPT, I see now, that I completely forgot the sugar. 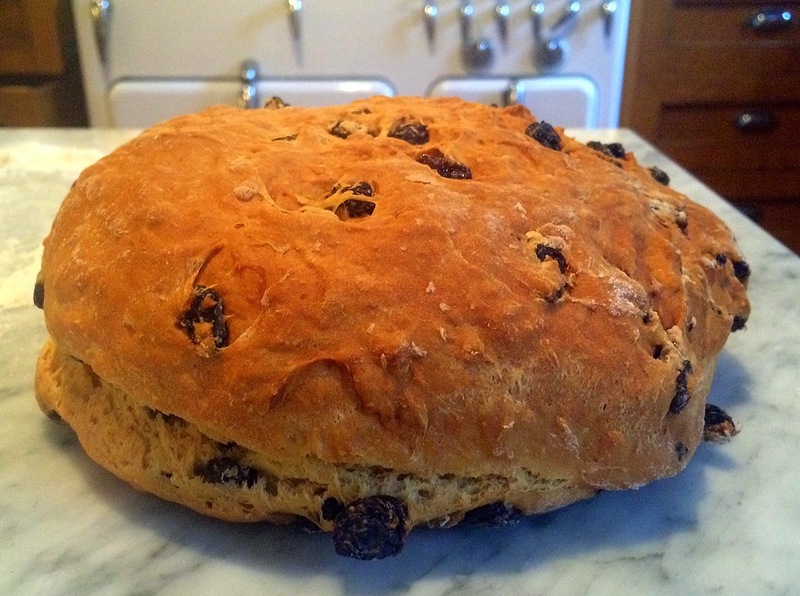 But it was still really moist and sweet (on account of the raisins). 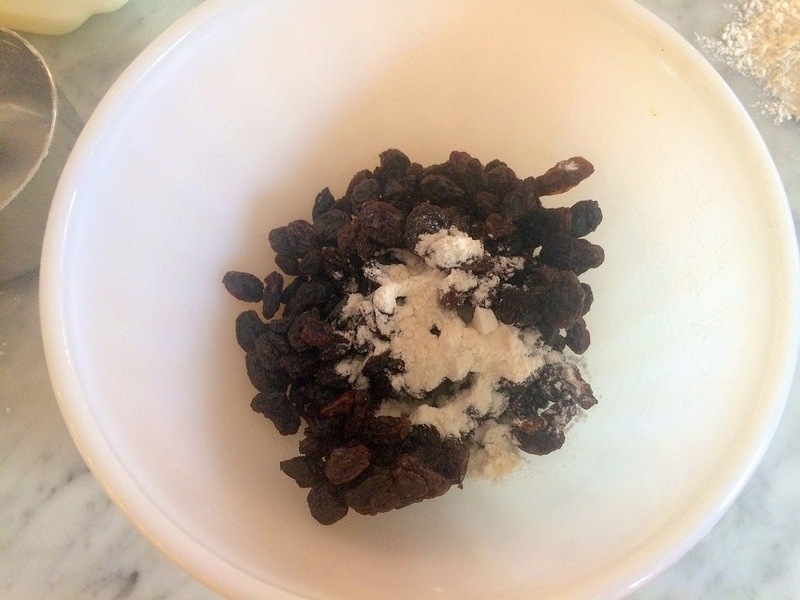 If you don't add raisins, definitely add the sugar. It is, Abbe!! Very moist. Wow ! Just made this recipe -so quick, easy & delicious with nice crust. . Rose beautifully -looked just like yours. 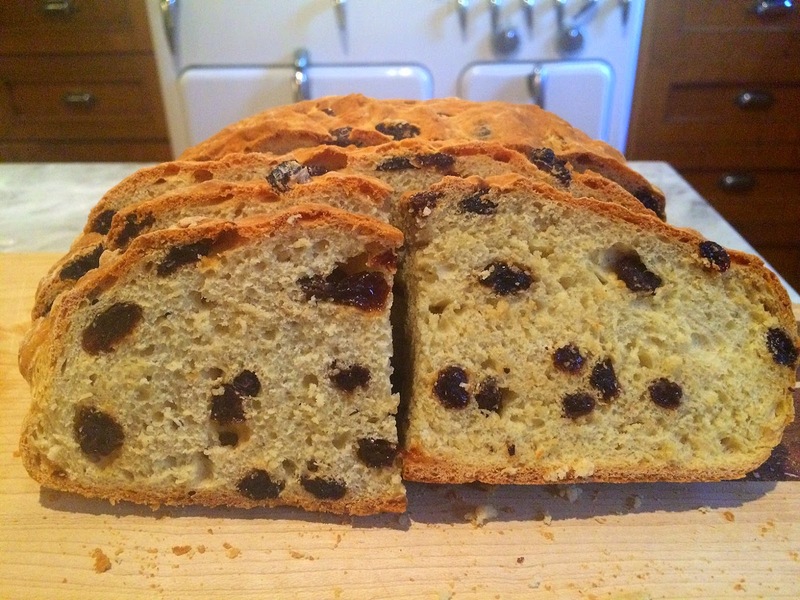 I used caraway seeds (didn't have any raisins :( ) -- Will definitely make again . Perfect recipe to get me ready for St Patrick's Day next week ! So glad it worked out! Thanks for writing.